This sculpture is located on Broad Avenue and Magnolia Place on the Triangle. “Like my idol, Hans Christian Andersen, and his modern-day counterpart, Walt Disney, I am a storyteller. As a child, I was entranced by Andersen’s Fairy Tales and the mythologies of Greece and Rome. In adolescence and later, as a literature major in college, I discovered the Norse and Druidic legends, and the folk stories of Europe and Asia. Above all, they struck me with their essential wisdom, so concise and profound – that life is what you make it, which is, of course, a function of how you see it. What I want, more than anything else, is to make a difference in the way people see the world, so they can make a difference in how it is. Too many of our troubles arise from the fact that people view the world as a harsh, unfair place. I say it is a thing of beauty, which, we all know, “is in the eye of the beholder.” By being the “eye” of those who behold my sculptures, I have the rare privilege of sometimes being able to bring beauty to those who might not otherwise find it, and in places where it might not otherwise be found – maybe even creating it. 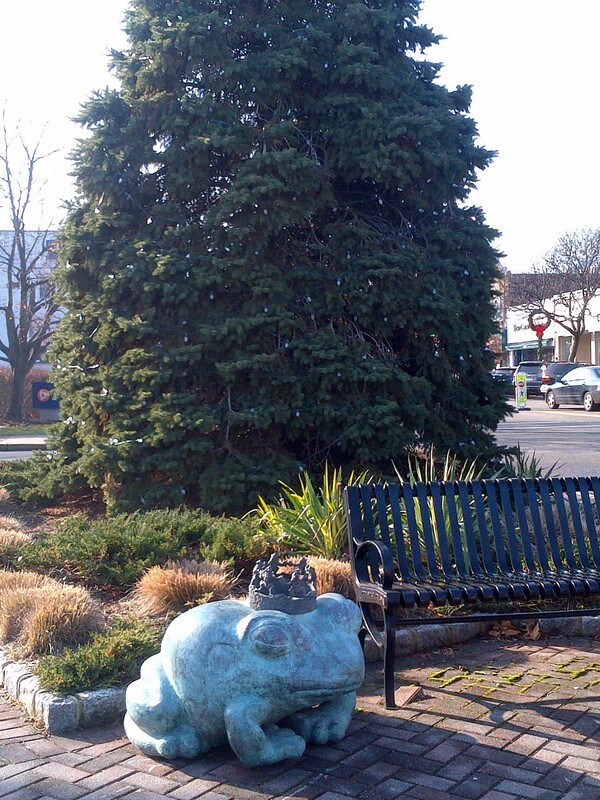 Frog Prince has been generously donated to the Borough of Leonia.